I use a controller to play my console ports these days. Sure, modern ports are usually good enough that you can wrangle the mouse and keyboard into some semblance of an acceptable control scheme (unless they’re Dark Souls), but I do think they lose something unless played with a controller. Most of the time my controller is used for Spelunky Daily Challenges, and while that’s pretty much the opposite of a chilled out experience my hands come away from it feeling rather relaxed – limber, almost. By contrast after playing Metal Gear Rising: Revengeance for an hour I physically have to uncurl the fingers of my left hand from their claw-like grasp because I’ve been clutching the controller so hard, such is the intensity of this game. 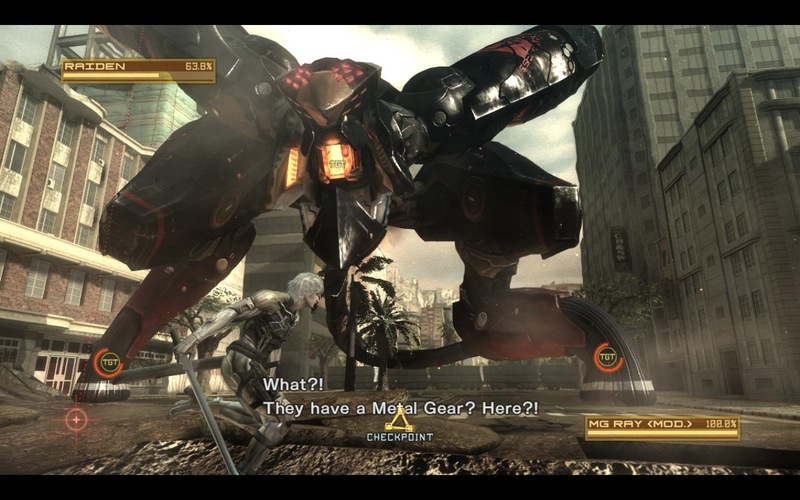 It’s pure distilled action from start to finish that takes the developer’s experience with action games (Revengeance was made by Platinum Games, who were previously responsible for the reputedly-excellent Bayonetta) and Hideo Kojima’s wonderfully off-kilter Metal Gear Solid universe and pursues the resulting combination to its logical conclusion to produce something that’s almost beautiful in terms of how insane it all is.